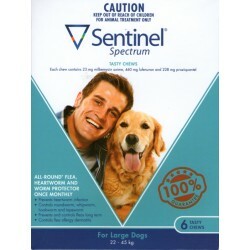 Monthly tasty chew for the prevention and control of heartworm and intestinal worms in dogs. Available in different pack sizes. 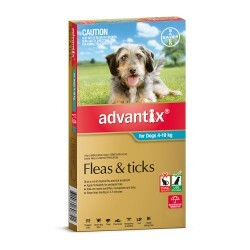 Monthly tasty chew for the prevention and control of heartworm and intestinal worms in dogs. 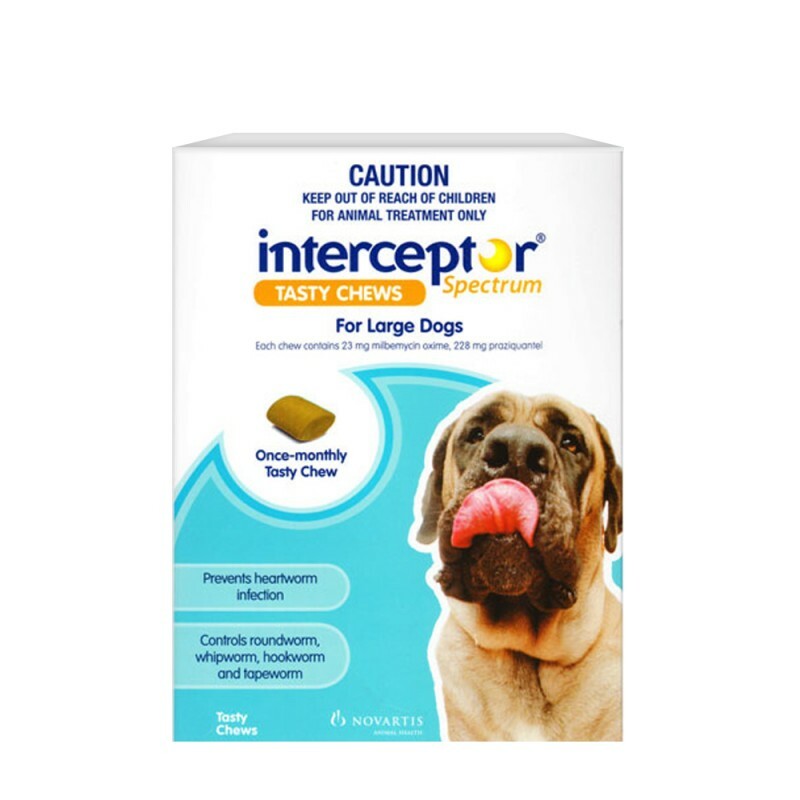 Interceptor Spectrum Tasty Chews prevent heartworm (Dirofilaria immitis) and control roundworm (Toxocara canis, Toxascaris leonina), whipworm (Trichuris vulpis), hookworm (Ancylostoma caninum, Uncinariastenocephala) and adult tapeworm (Echinococcus granulosus, Dipylidium caninum, Taenia pisiformis) in dogs. Interceptor Spectrum Tasty Chews containing 2.3mg milbemycin oxime and 22.8mg praziquantel in orange pack. Interceptor Spectrum Tasty Chews containing 5.75mg milbemycin oxime and 57mg praziquantel in green pack. Interceptor Spectrum Tasty Chews containing 11.5mg milbemycin oxime and 114mg praziquantel in yellow pack. Interceptor Spectrum Tasty Chews containing 23mg milbemycin oxime and 228mg praziquantel in blue pack. Interceptor Spectrum Tasty Chews are flavoured with real cooked chicken. Chicken meat is cooked, ground and dried before being added to the formulation. Studies have shown that Interceptor Spectrum Tasty Chews are so palatable that 94% of dogs accept them straight from the hand. Interceptor Spectrum Tasty Chews come in packs of three (a 3-month supply) and six (a 6-month supply). If an animal with adult heartworm infection (and therefore circulating microfilariae) is given Interceptor Spectrum Tasty Chews, a transient shock-like reaction can occur. To avoid this, dogs should be tested for adult heartworm and treated if necessary, before starting Interceptor Spectrum Tasty Chews. Studies have confirmed safety at up to 10 times the recommended dose. 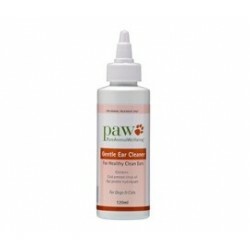 Effective product that controls heartworms, whipworms, tapeworms, roundworms and hookworms. Basically all the worm family are covered in this once a month chew. Now that we give our greyhound this once a month I can be assured that he is worm free and not at risk of heartworm. Does hat it is supposed to do. My dog eats it as a treat so it must taste good! my dog took this right out of my hand no problem. when comparing products this one has a great range of worms that it will kill and is the most affordable. I will be purchasing again in 6 months time (when my pack of 6 is finished).